On October 31, 2018, in what was and will be a landmark and a historic decision, the Supreme Court of Pakistan, in a three-judge bench headed by the then Chief Justice of Pakistan Saqib Nisar, overturned the 2010 death sentence of Asia bibi, a Christian woman, a poor farm worker, accused of blasphemy. A storm of outrage, orchestrated by the self-avowed vigilantes of religion, Tehreek-i-Labbaik Pakistan (TLP) ensued, unleashing protests, damaging of public and government property and hate speech inciting violence against Asia bibi, government of Prime Minister Imran Khan, the army, and the judges of the Supreme Court. On November 3, 2018, the protests ended with what was flippantly labelled state capitulation, as the government signed an agreement with the TLP, two points of which were: to allow initiation of a legal process to place Asia Bibi’s name on the exit control list, and to not oppose a review petition against the Supreme Court verdict. In a Pakistan that has seen a steady and a not-so-subtle elimination of non-Muslims, the Asia bibi verdict was a rare moment of validation of the courageous and persistent efforts of those who protested and worked against the injustices done in the name of religion. Pakistan that takes pride in its existence in the name of Islam quite conveniently overlooks the teachings of Islam that among other messages of harmony, peace and non-violence in the name of religion has clear injunctions apropos coexistence with and respect of people of all faiths. The beauty of a Muslim community is that non-Muslims are taken care of. On November 28, 2018, leaders of TLP, Maulana Khadim Hussain Rizvi, his son Saad Rizvi and TLP patron-in-chief Pir Afzal Qadri were taken into police custody. To date they remain jailed. In a Pakistan in which religious groups receive little or no electoral success, their power to incite sentiments of blind rage and hatred based on distorted interpretations of religion to wreak havoc in the country is an undeniable and a very unfortunate reality of the state of Pakistan’s perplexing and convoluted attitude regarding religious organisations. For a government to refuse to be cowed down by tactics of hooliganism in utter disregard for the sanctity of Islam’s message of empathy, compassion and forgiveness, the steadfastness of Prime Minister Khan to give due respect to the verdict of the Supreme Court is the kind of governance that is much delayed and much needed in a Pakistan that owes its non-Muslims a huge apology and much atonement. On January 8, 2019, speaking to TRT World Turkey, Khan said: “There is no way the state can be held hostage to people who refuse to follow the orders of the Supreme Court. The case of Asia bibi is a tragic one; it’s where she was in jail, and then the Supreme Court of Pakistan found that she was innocent. 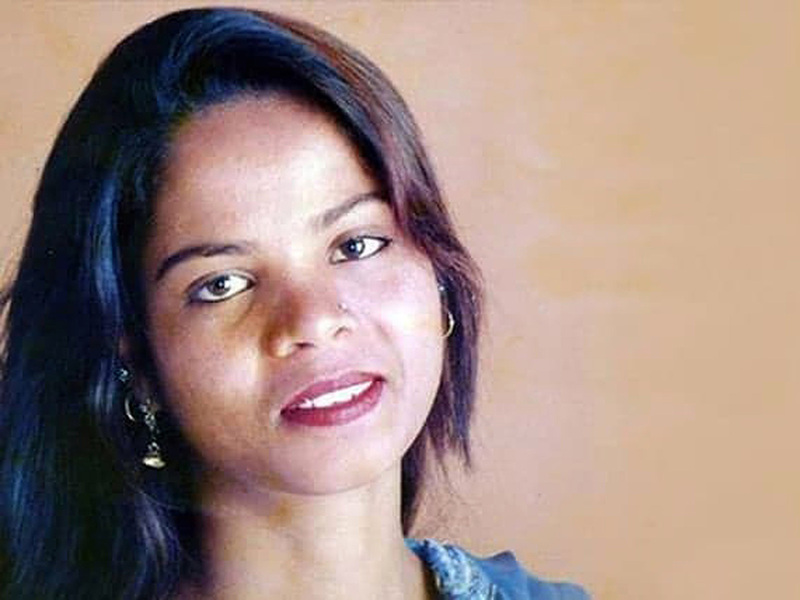 On January 29, 2019, the Supreme Court rejected the review petition to overturn Asia bibi’s release verdict and announced its decision to uphold the October 31 acquittal. This is a time of deep introspection, of acknowledgment that much wrong has been done, and many amends are to be made. The story of a woman falsely accused of blasphemy, jailed for 10 years, separated from her children, husband and other family members, and living each day knowing there was no end to her misery, Asia bibi’s release and now hopefully her departure from Pakistan to live in asylum with her family poses many questions to the collective conscience of Pakistan. Pakistan functioning on real teachings of Islam and the vision of Mohammad Ali Jinnah will be the country in which no Asia bibi is jailed on a trumped-up accusation, no person declared innocent by the Supreme Court will in fear of their life have to leave Pakistan, and no non-Muslim or those who are considered the wrong kind of Muslim will live, watching over their shoulder, afraid to just be. And I’m thinking: God works in His mysterious ways. On this day, January 29, 2019, the Asia bibi verdict was announced by the Supreme Court, and in Sindh, Suman Kumari took oath as the second female Hindu judge of a civil court. Dr Abdus Salam, on his 93rd birth anniversary, must be smiling: this is the Pakistan he loved, worked for, and was expelled from on the basis of his Ahmadi faith, his Pakistan of which he was the first Nobel award recipient (1979 Nobel Prize for Physics), his Pakistan that declared him an outcast. Today, the very special Dr Salam must be tipping his hat watching the tainted slivers of his beloved homeland coming together to form a whole that is on its way to be inclusive, dynamic, harmonious, and very splendidly Pakistan. 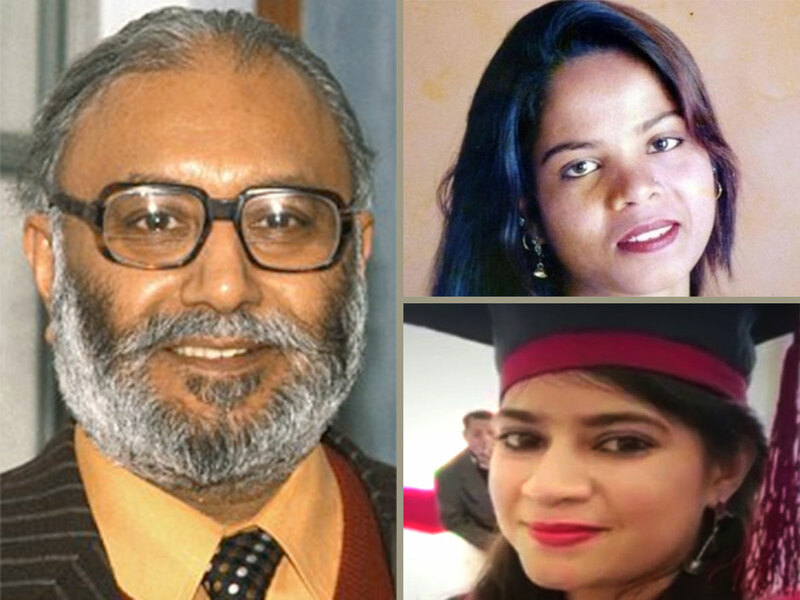 This Pakistan of Dr Abdus Salam, Asia bibi and Suman Kumari is my beautiful Pakistan.